After the fall of Yugoslavia in the early 1990’s, the Balkans descended into a bloody ethnic and sectarian conflict. 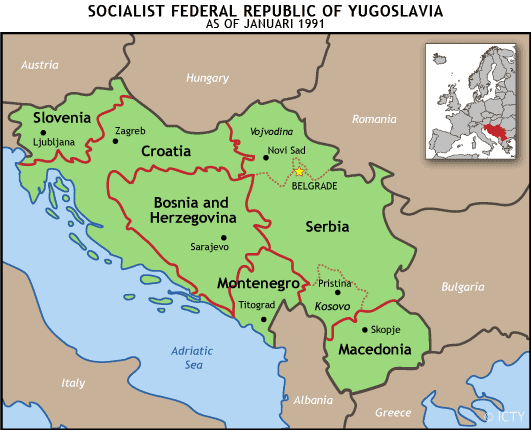 Although there were roughly six discrete Yugoslav conflicts, the first major war was the Croatian War for Independence. Starting in 1991, when Croatia declared its independence as a nation-state, the war was fought between forces loyal to the Croats and the Serb-controlled JNA (Yugoslav People’s Army). The JNA initially tried to keep Croatia within Yugoslavia by occupying all of Croatia. After this failed, Serb forces established the self-proclaimed Republic of Serbian Krajina (RSK) within Croatia. 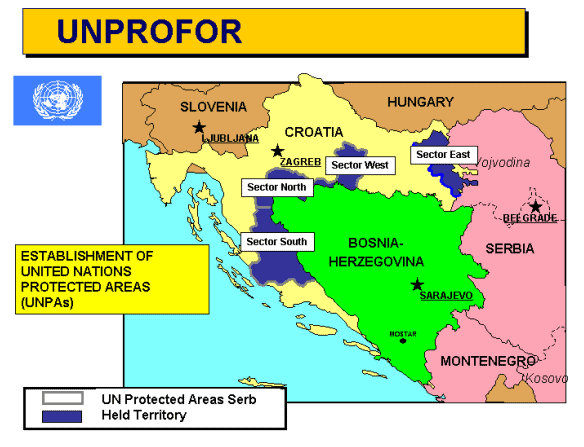 After the ceasefire of January 1992 and international recognition of the Republic of Croatia as a sovereign state, the United Nations Protection Force (UNPROFOR) was established and combat became largely intermittent in the following three years. 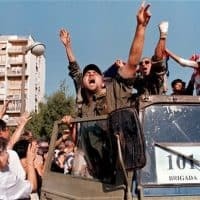 However, on August 4th, 1995, the last battle of the Croatian War for Independence, named Operation Storm, was launched. At the time, Croatia was divided by the UN into sectors: North, South, East, and West. In Sector South was Knin, the capitol of Republic of Serbian Krajina (RSK), a Serb parastate within Croatia. Operation Storm proved to be a decisive victory for the Croats, uniting geographic Croatia under Croat control, decimating the RSK, and tipping the military balance of power heavily in favor of the Croats. In 1995, Croatia launched two major offensives known as Operation Flash and Operation Storm which would effectively end the war with Croatian victory, as they had achieved the goals they had declared at the beginning of the war: independence and preservation of their borders. Nearly a quarter of Croatia’s economy was ruined, with an estimated $37 billion in damaged infrastructure, lost output, and refugee-related costs. A total of 20,000 people were killed in the war and refugees were displaced on both sides. Thomas M. T. Niles was Assistant Secretary for European Affairs at the State Department from 1991-1993; he was interviewed by Charles Stuart Kennedy beginning June 1998. Ronald J. Neitzke, interviewed by Charles Stuart Kennedy beginning December 2006, was Deputy Chief of Mission in Embassy Zagreb from 1992-1996. 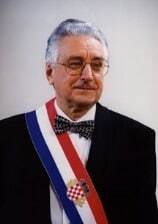 Robert M. Beecroft , interviewed by Kennedy beginning September 2006, was Special Envoy to the Bosnian Federation from 1996-1997. Go here for other Moments on the Balkans. Well, it doesn’t take you long to see how very Balkan most of Croatia is — whatever “Balkan” means. My mantra has been “Balkans is as Balkans does” and boy, did the Croatians behave like Balkans. Krajina is the perfect example. It’s part of Croatia, but there were thousands of Serbs there, and during the war they tried to create their own little Serb republic. They weren’t angels either, far from it. In 1994, the Croatians and Bosnian Croat forces fighting with them, joined forces with the Bosniaks and launched what they called Operation Storm. By that time, the Croatians and the Bosniaks had a lot of weapons. They not only pushed the Serbs out of Krajina, they kept right on going northeast. If NATO had not intervened, they would have captured Banja Luka, and the Serbs would have been very likely pushed out of large parts of Bosnia. That would have laid the groundwork for irredentist claims to justify the next war. So the U.S. made clear its view that the Croatians and Bosniaks should not push on to Banja Luka – and they stopped the offensive. Okay, so now what do you have? You have around 20,000 Krajina Serbs in the Republika Srpska [RS] with claims in Kriena. It’s highly likely that most of them will never go home. NILES: The Serbs used the Serbian population in the Krajina and Slavonia to set up these so-called “Republics” of Slavonia, and Serb Krajina, driving the Croatian population out in most cases. The Serbian Army began, by the end of October, its assault on the town of Vukovar, standing off on the Serbian side of the Danube and shelling the city with 155-millimeter guns, just lobbing shells into the town, gradually destroying it and killing people. At the same time, the Serbs were bombarding Dubrovnik from near Trebinje in southwestern Bosnia-Herzegovina. That was the time, looking back on it now, when some form of U.S. military intervention might have had an effect. There were some arms going into Croatia, but not very much, during our time. We did stop one effort by the Iranians to send arms to the Bosnians. Another thing to keep in mind is that all of the arms that went to the Bosnians, through Croatia, whether through Split or Zagreb, the Croatians took a tax in the form of arms. I don’t know whether it was a quarter, a third, or a tenth, or what, but they took their part. By May of 1995, the Croatian Army was a fighting force of considerable proportion. They ran through the Serbs in Western Slavonia like a knife through hot butter. They drove them out, took that place in a day and a half, or something like that, kicked the Serbs who lived in Western Slavonia, across the Sava River into Bosnia. They sent a very clear message that there was a new sheriff in town, and his name was [President of Croatia, Franjo] Tudjman. He was going to take some names and clean things up. NEITZKE: The Croats’ move to open Sector West began in the early morning hours of May 1. At that point the Embassy community was in a high state of alert. For me the issue turned on how one read the intentions of the Serbs in Knin. Would they respond to Croatia’s move by loosing on Zagreb the rockets that had long been readied in Sector North? Or would they hold off on the rockets, figuring that such a retaliatory step might trigger a much larger Croatian move on Sectors North and South? Or play for international sympathy? Virtually the entire UN team in Croatia were sympathetic to them and had strongly condemned Croatia’s “destabilizing” move as well as its intransigence during fevered ceasefire negotiations. Nor were we sure that the rockets could even hit downtown Zagreb; the ones they’d fired in the fall of 1993 had only reached the outskirts of the city. Q: Who controlled these rockets? NEITZKE: That’s another question we had. Was operational control wholly in Knin’s hands, or, more likely, would Belgrade, [Serbian President Slobodan] Milosevic probably, have to give the go-ahead? And was he likely to do so? I didn’t think so. And I concluded, basically, that if the decision were Knin’s alone, it wouldn’t opt for suicide, at least not immediately. At that time, we heard from one of Tudjman’s closest advisers that they too, Tudjman’s inner circle, were convinced Zagreb wouldn’t be rocketed. And after it was rocketed on May 2, they told us they were convinced it wouldn’t be rocketed again, but it was. What I interpreted this to mean is that they were in contact with Belgrade and had received certain assurances. So either I was wrong, or they were snookered by Belgrade, or Belgrade had lost control over its friends in Knin. The Serbian rockets hit several parts of the downtown area in the general vicinity of the Embassy, including near a children’s hospital, the national theater, and a large market place, Britanski Trg I think, where we often shopped and through which many of us drove a couple times a day. This was the point at which [Ambassador to Croatia] Peter [Galbraith] tried to contact officials in Knin, with whom he’d dealt in the Z-4 effort [a proposed basis for negotiations to end the Croatian War for Independence that was rejected by Croatian President Franjo Tudman and Serbian President Slobodan Milosevic], and at least implicitly threatened them with U.S. retaliation if they hit the Embassy or killed Americans. I’m not sure that would have had much effect on Knin at that point, however. It was obvious that the game was up, that their part of Milosevic’s Greater Serbia experiment would soon be history, and that the repeated, indiscriminate attacks on Zagreb were merely cynical retribution, intended to inflict pain on the civilian population. The Krajina Serbs had quickly forfeited whatever claim they might have had to international sympathy. Q: How was Washington reacting? What were you telling Tudjman? NEITZKE: As we’d done for nearly four years at that point, we urged Tudjman to show restraint. And we meant it, but our constant pleas had become a borderline pro forma exercise. Washington, and we, still didn’t fully appreciate how strong the Croats had become militarily, and there were fears that any move by Tudjman would be met by a stronger countermove by Serbian forces. We didn’t want another hot front opening up in the post-Yugo wars. But as Croatian forces quickly prevailed in Sector West, and did so, as I indicated, in a way that didn’t leave much evidence of criminal excesses behind, some in Washington began to see the light, to perceive that this first major successful pushback against a four-year Serbian offensive, if it didn’t go too far too fast, was not only tolerable but a positive development. Q: Was there a general feeling that you were getting from the media, and maybe from Congress, that Europe, at last, was going to take a problem off our backs? NILES: I can’t ever recall that that point was emphasized. There were expressions of concern to be sure. I remember Senator [Claiborne] Pell, in my confirmation hearing, asked me about it. So, some in Congress were concerned. It was limited, but at that time the atrocities and tragedies hadn’t yet started, so there was no big pressure that the United States had to get involved in Yugoslavia. We had just fought a major military engagement against Iraq. We still had at that time 150,000 troops in the Gulf region. We were fast drawing down from Desert Storm, but we still had a substantial commitment out there. The idea that somehow we ought to leap from Desert Storm into what might be the Balkan Storm, people thought, was crazy. There was no pressure from within the Administration that I can recall at that time that we should do anything. Certainly, in the White House, the NSC, the State Department, not to speak of the Defense Department, there was no readiness to take a major role in Yugoslavia. NEITZKE:. The question before Peter and me and the rest of the country team [representatives from the key offices and agencies present at an embassy] as we considered our security options on that eerily quiet May 1 afternoon was whether to seek a Department-ordered evacuation of all family members and non-essential personnel. The Department had long since approved our request for authorized departure of family members, which is meant to address situations where there’s a heightened level of threat to American officials and their families, a situation which the post and the Department don’t think yet merits an ordered departure of dependents and non-essential personnel. Authorized departure had been in effect for Zagreb for some time prior to May 1. People could temporarily depart at Department expense and stay out with certain allowances. Anybody who felt they or their family members needed to get out could do so. But despite the level of concern, acute in a couple cases, people were extremely reluctant to depart voluntarily, to be the first to go. Nonetheless, I wasn’t ready to recommend ordered departure…. On May 1, even as the Croatian attack to retake Sector West was underway, I was still just as focused on the terrorist threat confronting us. And I wasn’t alone in that. And when the rockets came the next morning, mid-morning May 2, I was sitting in my office, windows open, a beautiful spring day. I later learned from a contact with intimate ties to Croatian security services that those services too, with offices close to us, in that first instant, thought the American Embassy had finally been bombed. Although it would be some minutes before we knew what in fact had happened, the Serbs had launched some of their rockets, and cluster bombs were exploding in various parts of downtown Zagreb, some as close as 75-80 yards from the Embassy. People responded instinctively but differently. Some fled instantly for the safety of the thick-walled, cavernous Embassy basement. Others took a moment to secure classified materials and make sure everyone was heading for safety before joining them. It fairly quickly became clear that we hadn’t been hit, but we didn’t know about possible casualties outside the Embassy, those who’d been out and about when the Serbs struck. Herrick soon joined us and reported that several parts of the downtown area had been hit and that there were fatalities. We’d been practicing with a walkie-talkie serial contact system for some time and in that manner were eventually able to account for everyone in the official community. No deaths, no injuries. But the need for ordered departure of dependants and non-essential personnel was no longer disputable. We informed the Department by phone that we intended to implement our evacuation plan as soon as the dust cleared and it seemed prudent. There was no argument; they sent the authorization immediately. I got on the walkie-talkie system, told the families what little we then knew, and told them, along with personnel designated non-essential, to be ready to evacuate on very short notice. In the event, we were able to give them about two hours before they were to assemble for departure by bus from the Ambassador’s residence. They all left, including my family, later that afternoon. Some of them, including my family, since my tour was by then nearing completion, never came back. And that was kind of a strange and difficult thing for them. No good-byes to friends and schoolmates and so forth. 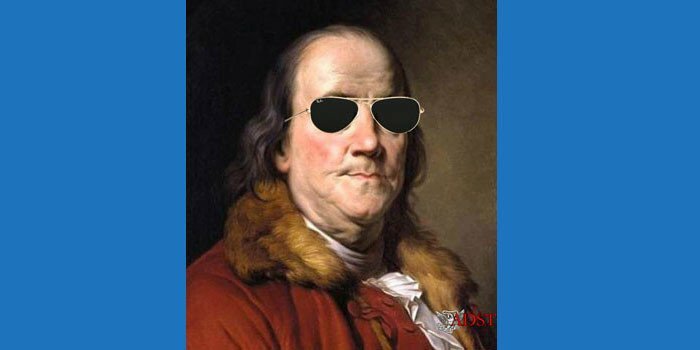 The Department doesn’t authorize a return simply to pack out, so I would do that on my own…. We may have continued to do visa work at the Embassy downtown for a few hours a day. Trying to do any serious work out of the [Ambassador’s] Residence, however, proved nearly impossible and, there having been no further rocket attacks for a week or so, we moved operations back to the embassy. We tried, for what little good that might have done, to keep as many people as possible out of the more vulnerable front offices. But frankly, if we’d taken a hit in that period it wouldn’t have much mattered where you were sitting. The building was old and, notwithstanding our efforts to shore it up, still not all that structurally sound. After a couple weeks in that cramped situation, everyone went back to their old offices and we got on with it. The downtown area was much quieter than before; it seemed almost deserted at times. People were spooked. It didn’t return to anything like the way it had been in my final two months. Outside of work, we tried to avoid the downtown area as much as possible. Work in that final period focused, obviously, on our security situation, both the possibility of further rocket attacks and the lingering terrorist threat, and on what Tudjman planned next. His move on Sector West was a game-changer. No one expected him to stop there. Some historians point to Storm and its substantial reversal of Serbian gains as the game-changer, and it was a game-changer of a different magnitude. But it was the move on Sector West that broke the ice; it occurred when there was no other prospect in sight of anything happening in the area that would alter the fundamental equation or get the international community off the dime. So that got a lot of our attention. NILES: Then, in August, the [Croatians] struck again with Operation Storm, first in the Krajina region and then in Eastern Slavonia. They rolled the Krajina Serbs out of there, blew up Knin, and captured the air base in the northern part of the Krajina region….They captured all the airplanes, and headed out across Bosnia. They joined up with the Bosnian Army in northern Bosnia. They were on their way to Banja Luka. Now, it is interesting, if the ceasefire hadn’t been called there, whether the combined Croatian/Bosnian force in northern Bosnia, would have been able to roll all the way across northern Bosnia and take Banja Luka. That would have created an even worse refugee problem. As it was, you had 250,000- 300,000 Serbian refugees headed east, into Serbia. That Croatian offensive, aided and abetted, ultimately, by our air bombardment of the Bosnian Serbs, was what lead us to Dayton [Peace Accords]. General [Colin] Powell was right when he said that we were not going to reverse the situation in Bosnia without ground troops. In 1992, 1993, 1994, you talk ground troops, you talk American troops. They are the only ones who could have done it. But, by 1995, you had a new force. It was called the Croatian Army, with help from the Bosnian Army. BEECROFT: The Croatian army pushed the Serbs out of Krajina in 1995, Operation Storm. Then they moved into Bosnia and Herzegovina, combined forces with the Bosniaks, the Muslims, and moved on Banja Luka, the de facto capital of the Republika Srpska. Actually the RS government was in Pale, outside Sarajevo, but Banja Luka was the key Serb-controlled city. Both Washington and Brussels were concerned that if the Croats took Banja Luka, if there was a total Bosnian Serb defeat, the consequences could be really serious. The Serbian army would intervene, the war would get worse, and there would be a new and even bloodier phase. NEITZKE: There were aspects to the Croats’ early May move against Sector West, however, that suggested they’d taken on board someone’s warnings about cleaning up their act, literally. 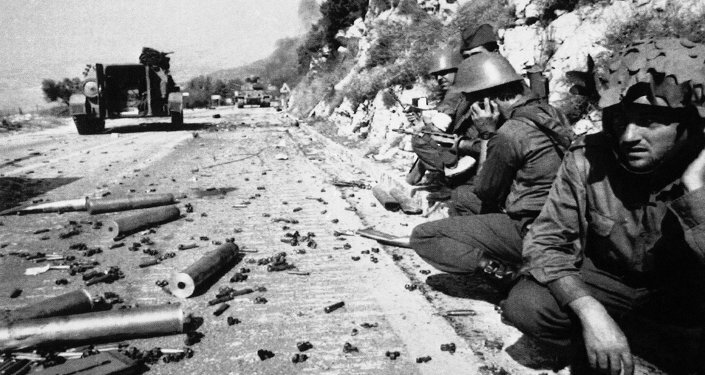 There had been some artillery exchanges and skirmishing in the days leading up to the Croatian move, which, in the event, they characterized as a “police action” aimed merely at opening up the main east-west highway. Obviously it was much more than that, but the point I wanted to make is that before the press or international observers of any stripe could descend on newly-liberated – the Serbs would say “cleansed” — Sector West, the Croats had rapidly and systematically – reportedly using refrigeration vans in some cases – cleaned up much of the physical evidence of the fighting and nearly all evidence of non-combatant casualties, including removing the bodies and hosing away the blood. I’m not sure whether they even attempted such an effort during the much larger-scale Storm; there was evidently plenty of evidence left behind in that case, including noncombatant dead, to prompt Hague Tribunal indictments of Croatian commanders. NEITZKE: [It’s] my understanding that the accused Croatian officers, on trial for crimes committed during Storm, claimed that Washington was aiding them in this offensive. I don’t know the truth of all that. [Assistant Secretary for European and Canadian Affairs (EUR) Richard] Holbrooke, I know, says it’s fiction, that Washington strongly cautioned Tudjman not to undertake Storm, fearing that Belgrade, the JNA [Yugoslav People’s Army, under Serb control], would be drawn in. Given how Storm unfolded, however, and the follow-on strike into Bosnia with help from the Bosnian army, and the manner in which we finally did intervene to get the Croats to halt short of Banja Luka, I find it hard to believe that we’d been sitting this out entirely, let alone demanding throughout that Tudjman halt this action. There’s one more thing in this regard that has always troubled me in trying to figure out what Holbrooke or [Secretary of Defense William] Perry or someone else may have privately advised the Croats in the late spring or summer of 1995 on the possibility of their taking military action. That’s the surprising note that [EUR Deputy Assistant Secretary] Bob Frasure is reported to have passed to Holbrooke at a luncheon with Tudjman two days before the Mt. 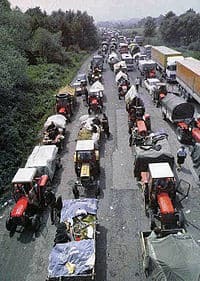 Igman tragedy [near Sarejevo, where Frasure and two others were killed in an accident in August 1995]. This would be mid-August, when Storm was already underway. Bob is said to have referred to the Croats as “junkyard dogs” we had “hired” because we were “desperate,” urging Holbrooke that we not order them to stop their offensive. I have to assume that there was something more to that relationship, something about our backing of or involvement in Storm that has yet to come out. Q: Were the Croatians able to launch attacks of any kind against Belgrade? NEITZKE: I’m not sure what they’d have been capable of, other than perhaps bombing missions. And they didn’t have that many aircraft at the time. So no. They never attacked Belgrade. Tudjman might have wanted to strike back after the rocket attacks on Zagreb. He probably did. But he kept his cool, opting instead for Storm and a bet that Milosevic wouldn’t respond directly, that he would abandon the Krajina. And Tudjman was proven right. NILES: We raised the question, “Should the United States use its military power?” which at that time, in the wake of Desert Storm, looked as if whatever we wanted to do, we could do it. We felt that if we could send missiles into the window of a barn or down the streets at Baghdad and turn left at the second stop light, we could certainly send a message to Milosevic. It would have been difficult. Vukovar is a little bit far inland, but using F-15Es out of Aviano [air base in Italy] would have been simple enough. Hitting the Serbian guns that were bombarding Dubrovnik would have been easy. Overall, it would not have been a militarily difficult thing to do. Would we have lost airplanes? Probably not. But, you couldn’t be absolutely sure. After all, we lost some airplanes when we went in the Gulf War. You couldn’t be absolutely sure that you wouldn’t have losses, and you also couldn’t be at all sure what the outcome would be, what kind of a message Milosevic might draw from this. In retrospect, I think we missed a tremendous opportunity. We should have gone in, not just with one strike, but with some serious military actions, that would have been a powerful signal. How it would have been read by Milosevic, who knows. But, the idea that there are limits to what was acceptable was an important message to send.